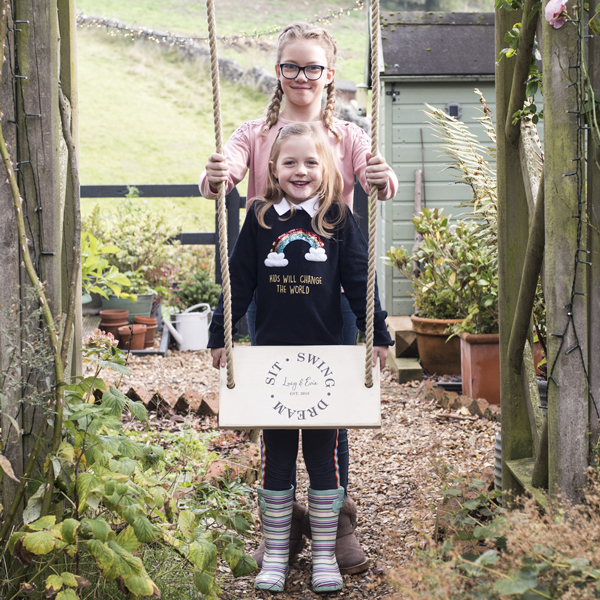 This Personalised Building Zone Wooden Sign warns family and friends that building work is in progress! Perfect for families with children who love to play with lego. 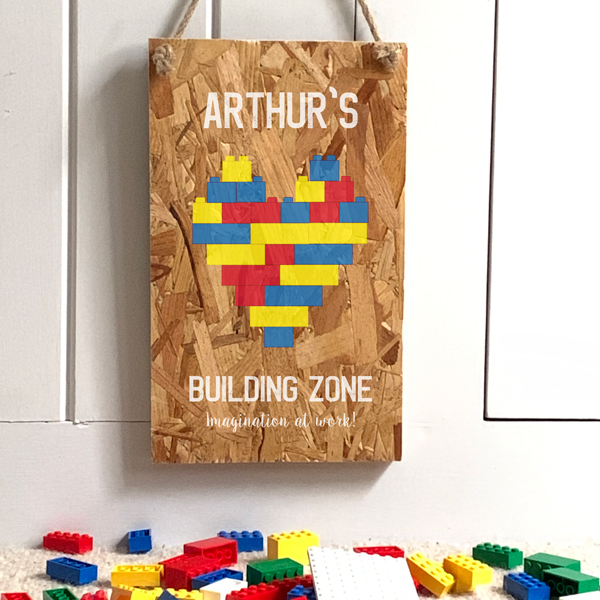 This fun Personalised Building Zone Wooden Sign can be hung from a door handle – warning everyone that serious building work is being carried out beyond! A lovely gift for friends with children who love to play with building bricks. 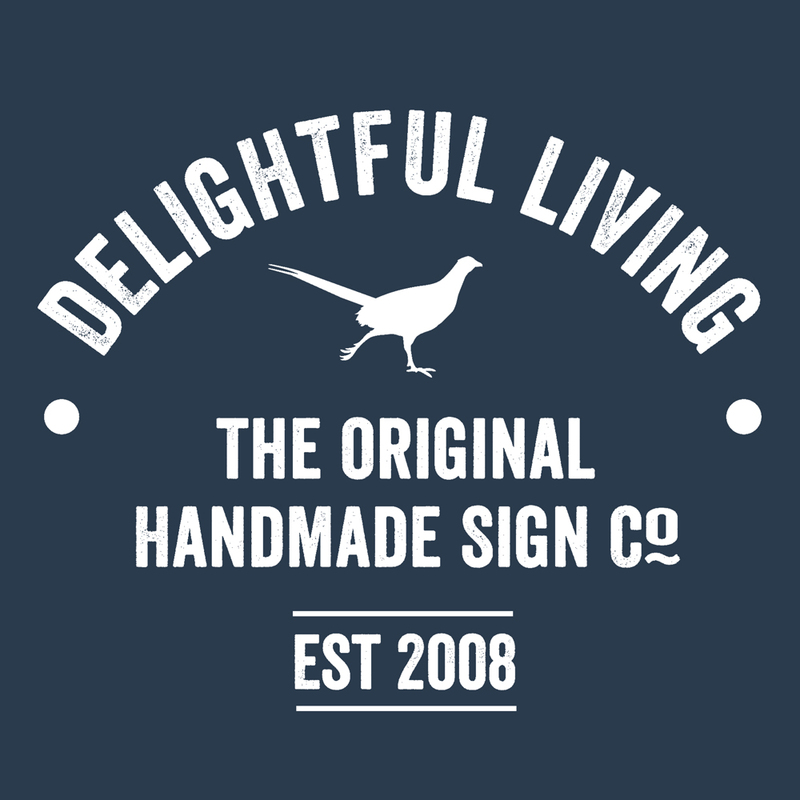 We’ve used the phrase ‘Imagination at Work’ on our example sign, but this sign is totally personalised to make it unique to you. 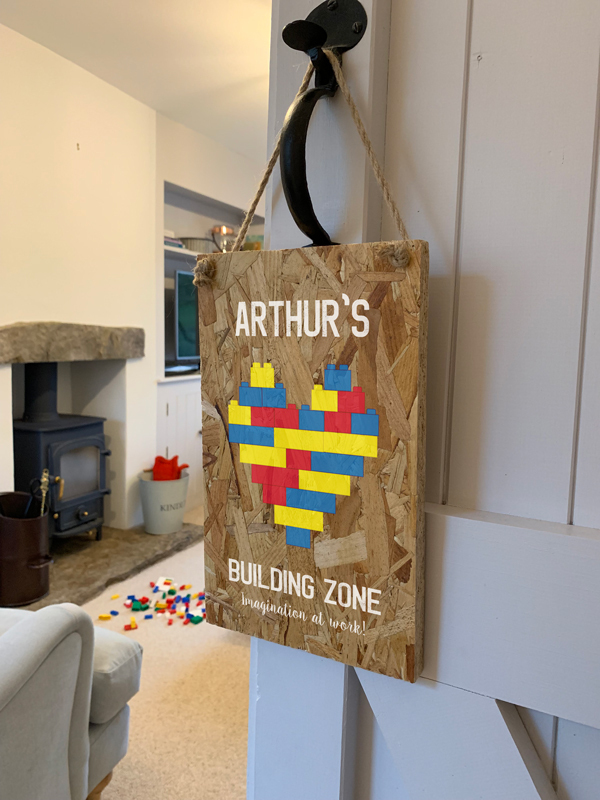 It’s only fitting that this building zone sign is made from a construction material, so we’ve used an industrial OSB wooden board for this sign and it hangs from rope. 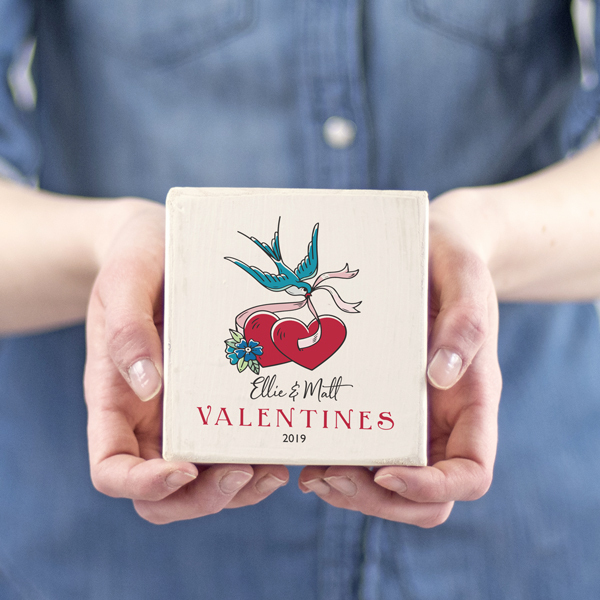 We print directly onto the surface of the wood which gives a lovely effect. Our design features everyones favourite building bricks in the shape of a heart. Above this we print the child or childrens names and beneath it your choice of words. Our example reads ‘Building Zone’ and beneath that ‘Imagination at Work’… but we can print any wording here to make it appropriate for you. Made from OSB wooden board and hung with rope. We use construction grade OSB to create a contemporary industrial feel to this print. 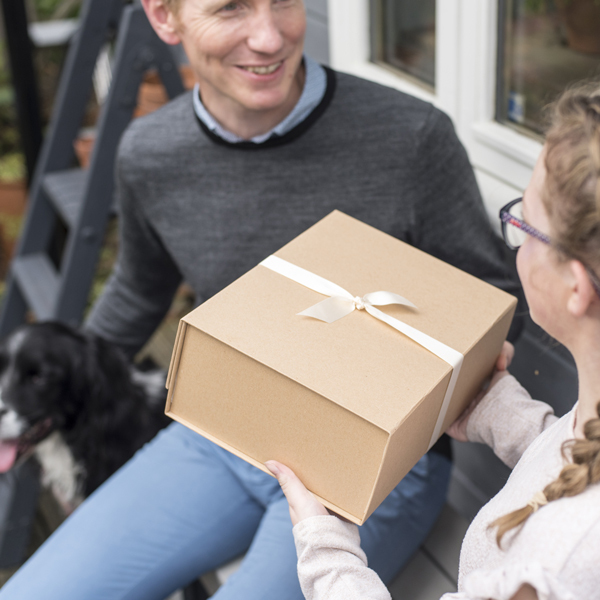 Some boards may have the wood manufacturers stamp on the reverse.